Korea Post acquired a stake worth about $250 million of the office building in New York leased by online retailer Amazon, and expects the transaction to yield an annual return of the later end of 6%, the South Korean agency said on June 2. Korea Post, overseeing 110 trillion won ($93 billion) in assets under management, recently bought a 47% stake in the 12-story office building from Vornado Realty Trust, along with a preemptive right to buy the other 51% stake held by Vornado. Amazon fully occupies the office building, located at 7 West 34th Street in Midtown, near Fifth Avenue. The online retail giant is slated to lease the 477,000-square-foot building for the next 16 years under a long-term contract, which means stable rental incomes from the prime office building. 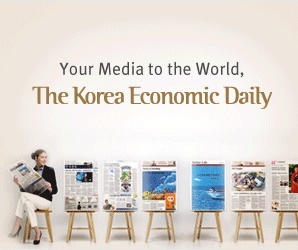 To finance the 300 billion won (about $250 million) deal for the 47 percent stake, Korea Post injected cash of 150 billion won and borrowed the other 150 billion won from financial institutions in the United States. But the recent price run-up in commercial buildings in the United States may reduce appetite for U.S. property. “Office building prices in North America have shot up too sharply, so this would be the last equity investment in an office building in North America,” a source of Korea Post told the Korea Economic Daily. Korea Post will be exempt from sales and dividend income taxes from the deal, as it is classified as a sovereign wealth fund which is free of such taxes for less than 50% equity investment.